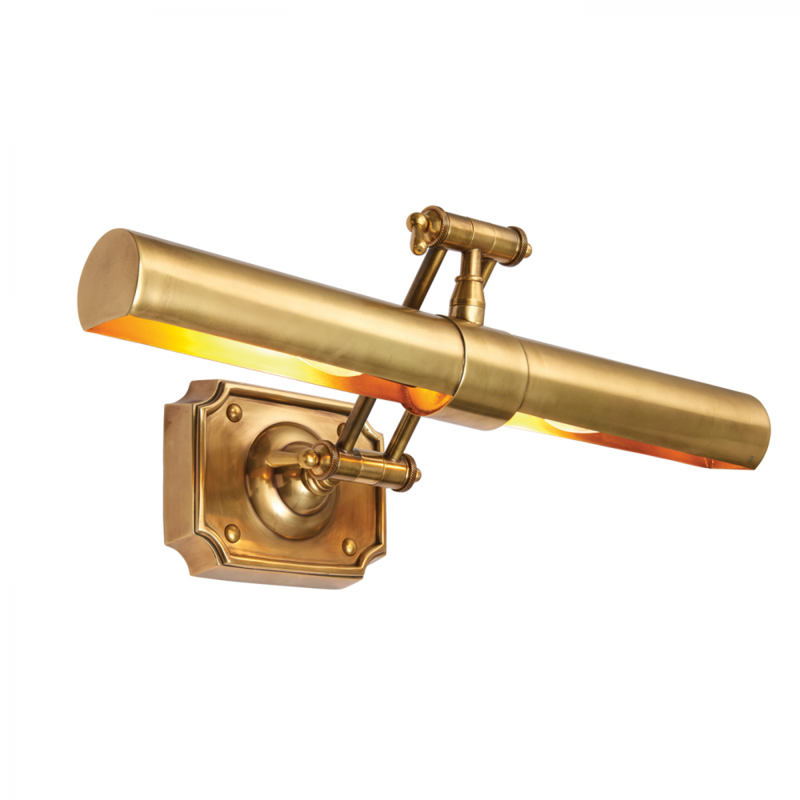 An elaborate 20 inch picture light made from solid brass. Both height and reach are adjustable, meaning you can direct the light exactly to your requirement. Dimmable and compatible with LED lamps. 29-35cm adjustable projection x 16-25cm adjustable height x 51cm length. Bulb information: 2 x 6.2W LED E14 - not included.